Should We Stop Making a Big Deal about Millennials? Maybe it is human nature, but with every change there is an urge to compare the present with the past. This seems to happen as every new generation gets older. 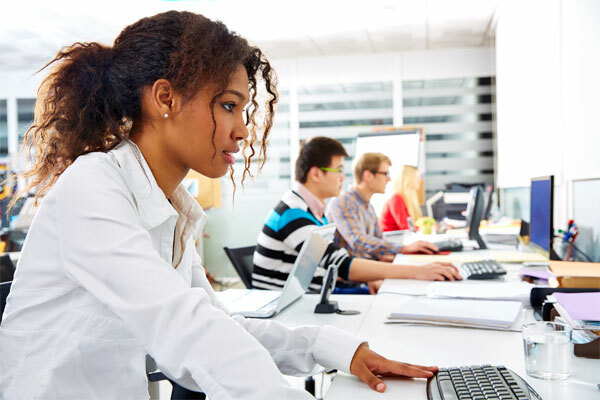 Millennials, also known as Generation Y, are increasingly becoming one of the largest groups in the workforce. As this has happened, there has been a lot of talk about how they compare and contrast with previous generations. Some of the reports have been complimentary, while others have been more negative. There are often reports that label Millennials as narcissistic, entitled, disloyal, and lazy. Where do these descriptions of an entire group of people come from, fear of change, personal experience, research? With every statistic there can be a positive and a negative way to spin it. We will try to look at them objectively, also taking into consideration that all individuals of a generation do not behave in the ways the statistic might suggest. The 2016 Deloitte Millennial Survey is conducted with the help of almost 7,700 Millennials from 29 countries. The survey is specific in that it gathers opinions about the business environment. Looking through this report, maybe there are some answers about why and how Millennials are impacting companies. Are Millennials Disloyal or more Strategic? Using statistics gathered by Manila Recruitment we can see that 13% of Millennials feel that an employee should stay in a job for at least five years before looking for a new one. In fact, 70% of Millennials plan to change jobs when the economy is better. Does this make Millennials disloyal or opportunistic? Or does it make them more strategic or open to new experiences? Or maybe they know to keep their options open in uncertain economic times? Those numbers can be interpreted in many ways, but as we look further into the research, maybe we can try to determine a better answer. Are they Entitled or simply Undervalued? Career development and leadership roles are important to this group. Do the feelings of limited professional development come from entitlement or are companies not investing enough in it? Are companies not using Millennial employees to their full potential or do Millennials just think they are more “special” than they actually are? Every company is different, so it is important for leaders to ask for feedback and evaluate policies to see if the Millennials in their company are likely to leave their jobs due to poor development and leadership opportunities or for other reasons. How do they view companies? Many Millennials feel businesses are still too focused on profits and wealth, and not enough on social benefits and improving lives. 87% feel that the value of a business should be measured by more than just its profits. They feel that a business should be judged by the quality of the products, employee satisfaction, and customer satisfaction. Many millennials feel that a business’ long term success is driven by employee satisfaction, ethics, and customer care. If we take the term Millennial out of this survey and looked at the above results, how many people in an organization, regardless of age, would feel the same way? Are loyalty, fairness, and customer care important to all people or just to Millennials? 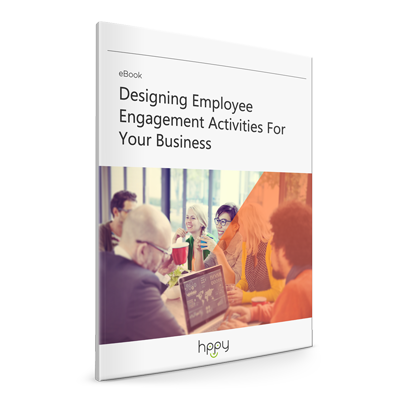 It can be a valuable process to look at company culture to assess whether these are important to all employees or if they are just effecting the retention and satisfaction of Millennials. Millennials want to work for companies that share their values. 70% currently believe that they work for a company that does share their values. 56% have stated that they have decided against working for a company due to its values. 88% want a collaborative work environment. 78% think that companies should try to improve society. 25% want to feel accomplished. 65% stated that personal development is an important aspect of a job. 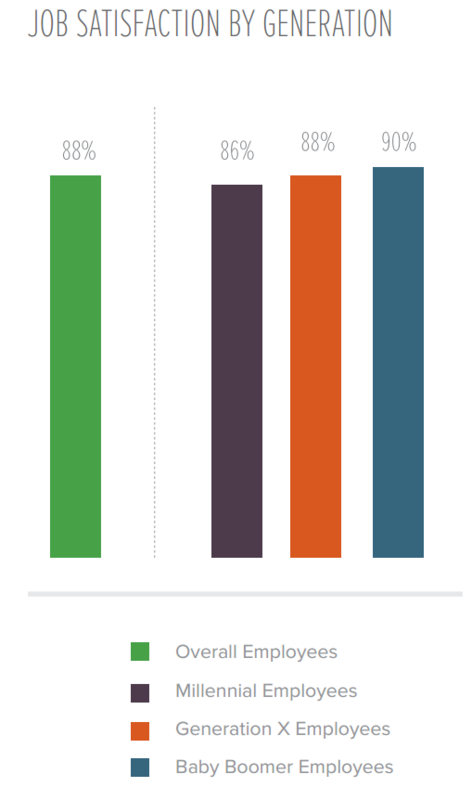 52% said career growth opportunities are a motivation. Results from the survey show that sometimes employee and employer priorities do not always overlap. 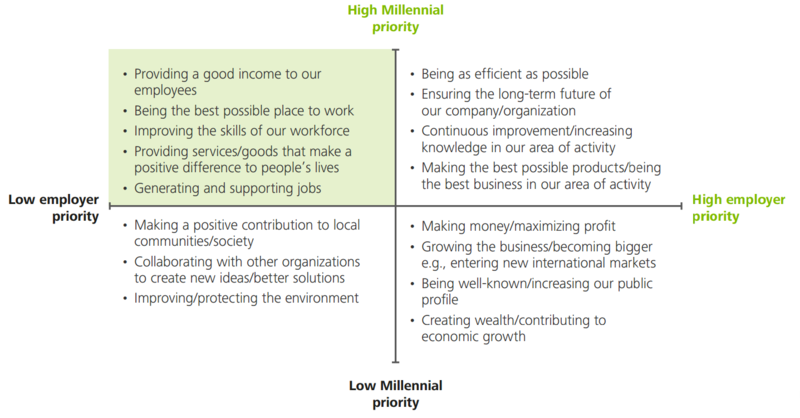 Looking at the chart below, it seems that profit, wealth, and business growth are areas that are viewed as less important to Millennial employees and more important to employers. Employees seem to place importance on the lives of employees and the people the business serves. As Millennial employees mature and attain more leadership roles, the divisions between management and employees can be important areas of employee engagement and turnover to evaluate. Overall, whether in junior or senior positions in a company, Millennials are seen to be more people-driven than profit-driven. Values are a vital aspect of business success as too many differences in values can create divisions that can be difficult to repair. As stated earlier, there have been comparisons between Millennials and other generations function within an organization. As we look at the differences between the different generations in terms of job satisfaction we can see, that, according to the 2016 SHRM report, there is not much difference. So, given that job satisfaction is about the same across all generations, we return to our original question, should we stop making a big deal about Millennials? These statistics represent the possible workings of a company and the Millennials who work in it. But they can just be used as a guide, a way of looking at the company culture, because every company employs a group of individual Millennials who may not be represented by the numbers. Do Millennials want to develop their skills, be leaders, be treated fairly, work in a collaborative environment, and feel like they are working toward the betterment of society? The answer is most likely, yes. But what percentage of all people want that, regardless of age? Their recommendation – avoid stereotypes of a generation. Putting too much emphasis on the differences between generations just perpetuates the stereotypes and creates unnecessary divisions among people. There is still a lot we do not know. It is possible that the changes in business may have less to do with the perceptions of a generation and more to do with the globalization and the evolution of business practices. The research does not tell us that, but this might be the time to agree that Millennials are just like all people, just trying to be happy, healthy, and productive.